Each featured project in How to Draw Manga serves as both lesson and inspirational guide for preparing artists to craft their own world and characters in an authentic manga style. Industry expert Jeannie Lee's clear, step-by-step instructions helps artists discover the secrets to creating cutting-edge manga art. Lee includes invaluable drawing tips that help simplify and personalize manga, considered by many to be a complicated drawing style. 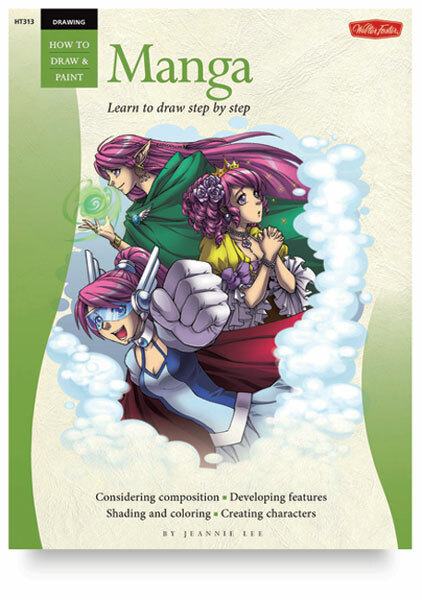 From an exploration of shading and coloring techniques to tips on figure drawing and character development, readers of all skill levels can learn everything they need to know to become masters of manga. Most importantly, Lee makes it easy for readers to follow along without becoming frustrated. This book is part of the acclaimed "How to Draw and Paint" series by Walter Foster.